Vitamin B-12 is essential for the formation of red blood cells, as well as for normal growth and operation of the immune and nervous systems. A protein called intrinsic factor, or gastric intrinsic factor, is necessary for vitamin B-12 absorption. Cells of your stomach lining release intrinsic factor. 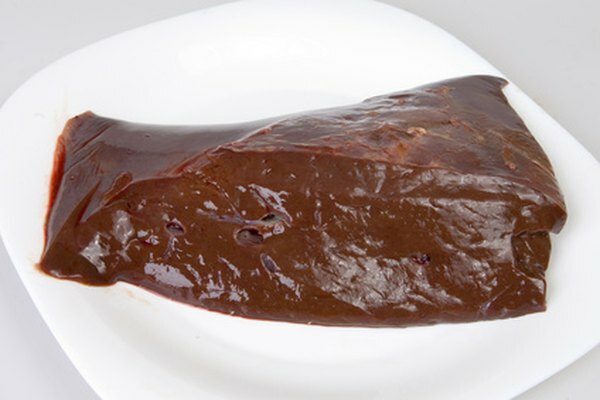 It forms a complex with vitamin B-12, which allows the vitamin to be absorbed from your small intestine. The absorption of vitamin B-12 from your small intestine is dependent on a protein called intrinsic factor. Intrinsic factor is a glycoprotein -- a complex of carbohydrate and protein. Parietal cells of the gastric glands in your stomach produce and secrete intrinsic factor. Inadequate intrinsic factor production in your stomach leads to inadequate vitamin B-12 absorption and can produce a B-12 deficiency. Vitamin B-12 is a water-soluble vitamin. It is also called cyanocobalamin -- as it contains the element cobalt. The vitamin is essential for red blood cell formation and for DNA and fatty acid synthesis. It is also involved in the normal functioning of your brain and nervous system. Although bacteria and algae can synthesize vitamin B-12, the human body cannot make it. Therefore, it must be supplied by external sources such as food or vitamin supplements. Vitamin B-12 is found predominantly in animal-based foods, including meats, liver, fish, shellfish and dairy products. Vitamin B-12 is bound to protein in animal foods. The acidic environment of your stomach frees vitamin B-12 from the protein. As the gastric glands in your stomach release intrinsic factor, it forms a complex with free vitamin B-12. This complex travels through your small intestine and the B-12 is absorbed at the lower end of your small intestine. If vitamin B-12 is not bound to intrinsic factor, the vitamin cannot be absorbed. Inadequate vitamin B-12 intake or insufficient absorption can produce a vitamin B-12 deficiency. This can lead to a decline in red blood cell production and a condition called pernicious anemia. Because the vitamin is mainly found in animal products such as meat and dairy items, vegans are particularly susceptible to deficiencies. Chronic gastritis, gastrectomy -- the removal of all or part of the stomach -- or an autoimmune condition in which the body attacks its own tissues can destroy the gastric parietal cells that secrete intrinsic factor. Symptoms of vitamin B-12 deficiency are varied but can include muscle weakness, tingling or numbness of the hands and feet, nausea, weight loss and irritability. High dietary intake of vitamin B-12 has very low potential for toxicity, according to the National Institutes of Health. If you take in too much vitamin B-12, the excess is normally not bound to intrinsic factor and is excreted with your feces. However, stomach overproduction of intrinsic factor, combined with high vitamin B-12 intake, could increase vitamin B-12 absorption.